TAP into your ultimate power! Discover the 3 foundations of your creative joy. Don't put yourself off another day, get your free videos now. Access FREE videosIt's my time. Always passionate about wanting to make the world more fair, I went into social work and applied social research to shape the world through rational systematic analysis and informed action. In my mid-late 30s and early 40s I got more actively engaged politically, spending several years advocating for public financing of elections and the abolishment of the death penalty. In my social research work I realized that sustainable change happens at the grassroots, so I figured the best use of my energy would be to make videos for nonprofits to spread the word about the world-changing things they do. My longer career path has taken me through social work, research design, statistics, policy and program evaluation, video production and music. Circuitous, you say? I prefer "thorough." 🙂 Each of these have left bread crumbs that have led me to my current work of helping you find fun, joy and satisfaction connecting to and expressing yourself more fully through music and movement. In 1997 I moved to Asheville NC and in the next couple of years I took up African drumming and began reconnecting with my musical roots. For several years, I drummed in multiple weekly African dance classes and learned the nuances and complexities of many West African rhythms. I was amazed at the interrelationships of the polyrhythms and how, when played as handed down, the rhythms inviting me (and, it seemed, all drummers, dancers and observers) into new and soul-expanding portals of experience. 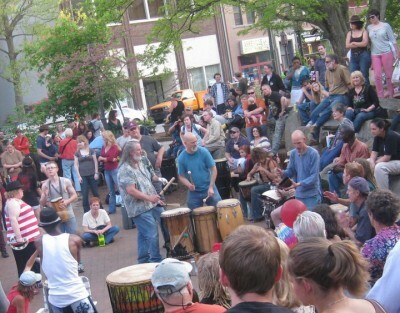 For many years I helped facilitate the infamous Friday night Asheville drum circle that continues to draw hundreds of people to come celebrate the ancient experience of humans drumming and dancing together. I'm still fascinated that the simple act of playing a drum pulls people towards it. Perhaps it's the heartbeat of a larger consciousness, sending lifeblood through the community, our larger body, that comprises the pulse of wholeness, wellness, Life itself. I've been leading the Jubilee! Community World Beat Band and playing a LOT of different kinds of music. It's a blast to weave secular popular music into the sacred space of the Jubilee! celebrations. And the chance to use music to thread the theme of each week into people's spiritual, mental and physical experience is deeply gratifying. 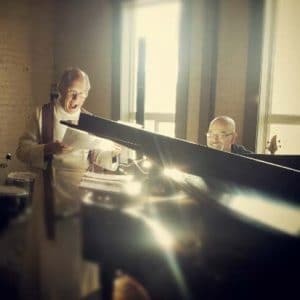 Through this melding of the secular and sacred, and through the simple and profound power of music, we're invited, cajoled, toe-tapped and hip-wrangled into the surprising, mind expanding and heart opening experience of the Divine in everything. 2003 was a big year! In that year I also formed the party/dance band Current Invention bringing together some of Asheville’s best musicians to play for weddings, celebrations, conferences and fundraisers in the Western North Carolina area. We plug in the instruments, connect with the beat, some good tunes and the audience, when (We) Gotta Feeling, we reach for My Girl and rock out on that Old Time Rock and Roll (it just soothes my soul). It's a wonderful world, at last. In 2003 I took to the theatre stage, doing improvisational music and acting with Asheville Playback Theatre. Creating live improv theatre is scary, exhilarating and deeply rewarding (as with the best of most creative edges). It invites delight, empathy and celebration in all kinds of magical and beautiful ways. Thanks for being here! 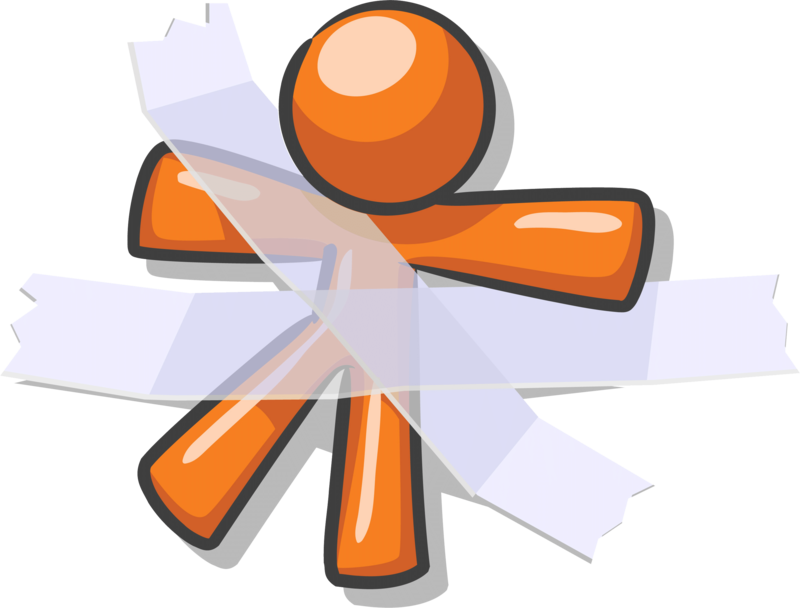 I have some well-researched and carefully crafted ideas, opportunities and possibilities to share with you. Now I know I'm in trouble when I start thinking I know something that doesn't align completely with love. And since love seems to be the ultimate reassurance and the ultimate mystery, I'm getting much better at letting go of the knowing and getting on with the being and doing. 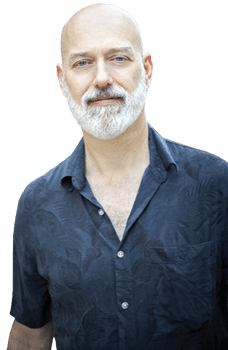 Offering music, sound healing and music-facilitated coaching for individuals, groups and organizations wanting to enhance their creativity, flexibility, communication and their authentic power. Play piano and lead the 5- to 7-piece World Beat Band for Sunday morning celebrations. We do a wide variety of styles including jazz, latin, blues, rock, pop, gospel, celtic, reggae and african rhythms (www.JubileeCommunity.org). Play the caixa (snare drum) and repique in the Afro-Brazilian percussion and dance group, Zabumba. 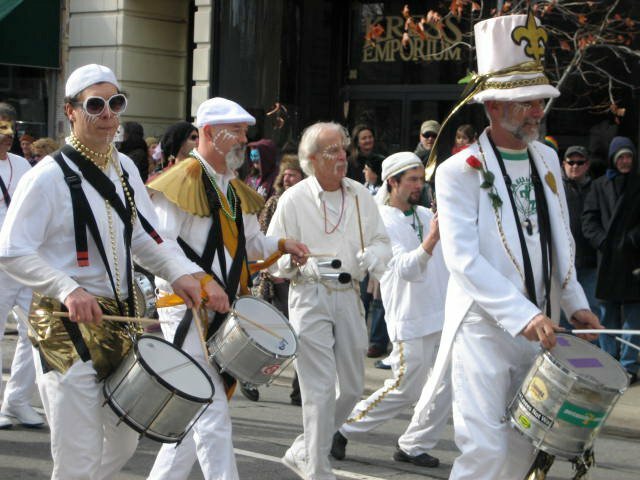 An annual highlight to play high-energy samba for the Asheville Mardi Gras parade and the LEAF festival. 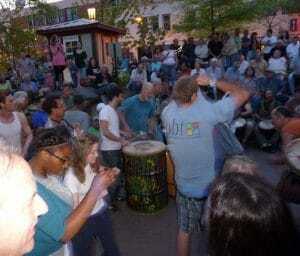 Drum for traditional African dance classes and help facilitate the Friday night drum circle in Asheville’s Pritchard Park. Video production specializing in promotional and advocacy videos for socially and environmentally progressive nonprofits. 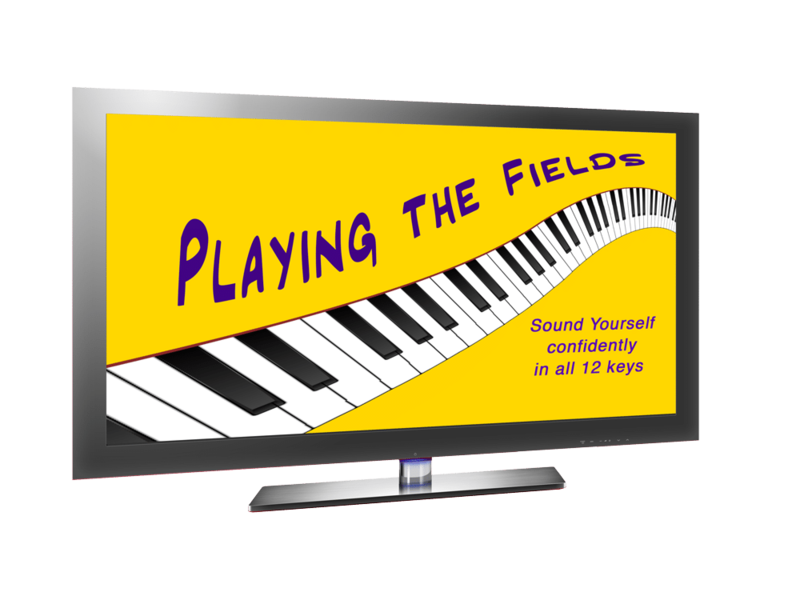 Do you want to liberate your creativity and improvise musically, but feel stuck in old stories or patterns? Discover 3 keys to T.A.P. into the flow of engaging music. Align with your unique potential and liberate your gifts. Explore the creative life you've been missing out on! Get these FREE quick videos and T.A.P. into your true power. I'm curious about my creative potential.